Green European Journal: The Tavares report set out a comprehensive system of monitoring tools and alarm systems, which gave rise to much optimism about its potential, yet many were disappointed with the failure in implementing these proposals. Can you explained the significance of this report and what happened next? Kim Lane Scheppele: The Tavares Report was a huge milestone, because it signalled a change in the approach to Hungary from treating it as a state with a few isolated problems to a systemic problem. Only one third of the parliament opposed the report, in a European Parliament where the European People’s Party (conservative political group) and other conservative factions had a clear majority. It showed that there was some possibility of unity around condemnations of these kinds of violations. The Hungarian problem is not that they have a conservative government – there are conservative governments all over the EU – the problem was that one party aspired to grab power and to hang on to it. This was the first time that a European institution had understood and diagnosed the problem. There were a series of creative mechanisms in the Tavares Report for addressing what to do next, but all of them, because of the position of the parliament, required working with other EU institutions. So there was a proposal – a so-called trialogue of monitoring mechanisms that would involve the Council of the EU, the European Commission and the European Parliament in a conversation with Hungary in order to try to find a path back to a constitutional, democratic, rule of law state. That never happened. There was a proposal for an ‘Article 2 Alarm Agenda’, which instructed the Commission to raise the question of values and principles when dealing with Hungary over anything else. As far as we can tell, the Commission didn’t actually do that. There was a recommendation to set up a ‘Copenhagen Commission’, to monitor the democratic health of member states. The proposal will probably require treaty change, which is largely impossible right now. Rui Tavares: This move from identifying punctual problems to recognising a systemic problem [of Rule of Law in a Member State] is important and this is where I think the report was the most effective, because after people began talking about it in those systemic terms, a response became unavoidable. In the empirical work leading up to the report, Members of the European Parliament from very diverse political families were collaborating (the rule of law document was even co-written by a British Tory and a French Communist for example) and when they agree on something you know it must be because there is really something wrong in Hungary. Now, the other problem is institutions working together and creating these effective tools. What we had was the European Commission reacting to forced retirement of judges with age discrimination counteractions, or media law with competition law for instance. So each institution or department was acting alone in a very segmented and isolated way. Usually, when they sensed that the problem was bigger than just a new media law, for example, they tried to catch the Hungarian government with details of European law where they [the Hungarian government] could be challenged. Now [with the new ‘Rule of Law’ mechanism of the Commission] there’s the typical glass half-full or glass half-empty theory – lots of people said that it was half-empty; that our recommendations in the report about Hungary were not reflected in the work of the Commission. I tend to be a little bit more generous towards the Commission in that regard of the rule of law mechanism. The mechanisms that we suggested [in the Tavares Report] do exist in some form. For example, the Copenhagen Commission is not in there, but there is a reference to the networks of the supreme courts of the European Union. This could be a first reiteration of what the Copenhagen Commission could be in the future, if you add in of course the constitutional courts, who will try to strengthen these networks at the European level. And if you give work to these networks of constitutional or supreme courts, they could start producing reports and recommendations independently and at least you would, in a sense, de-politicise the issue in a way that the Commission, Parliament and Council will be forced to react to because the recommendations would come from the network of constitutional and national courts. 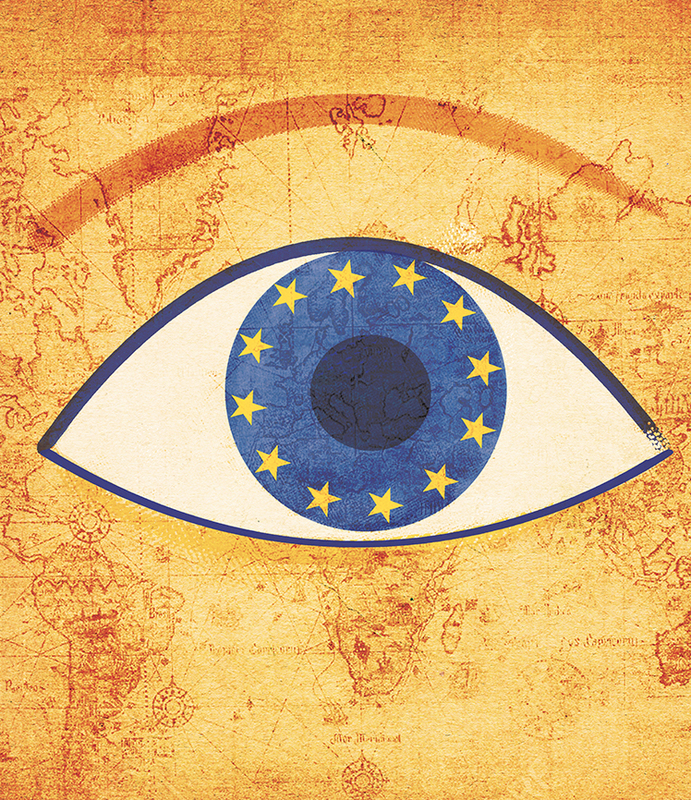 Overall, how would you assess the human rights architecture of the EU? Are the provisions strong enough and if so what is preventing their implementation? RT: It boils down to two questions: that of wisdom and that of action. You have to act wisely, but you have to act, and that’s what’s missing. In the technocratic approach, what people were doing at the time and even after they recognised that it is a systemic problem is that they wanted to outsource the solution thereof to indicators – collecting data in order to build a European Justice scoreboard to assess rule of law, for example. They were hoping that the indicators would do the job for them. If we consider all this data that comes over a length of time of a non-criminal case, then we will know if this is a rule of law country or not. So the fundamental rights agencies gather all this data, produce reports but then you see that there is a problem of too much data, not much knowledge and no action at all. [On the action side] that’s really a problem that could be solved. Let me give you an example: Member States make requests of the Commission or institutions every day – whether it’s to have the headquarters of a European agency in their capital, or to reformulate the use of the European funds. The Commission could respond by saying that if you have a rule of law problem you must address this first. This would be highly effective, and it’s not being used. KLS: At the end of the Second World War, when the European structures were being built, there was a division of labour hardwired into European institutions between the EU which was, fundamentally, meant to be an organisation to develop economic unity, and the human rights mandate, which was given to the Council of Europe with the Convention on Human Rights, the development of the human rights monitoring process and then the European Court of Human Rights. And that division of who deals with human rights is still a difficult question in Europe because it’s only with the Lisbon Treaty that there is a legally enforceable bill of rights in the EU. However, it only applies when EU institutions are violating your rights (which is not the case for Hungary) or when Member States apply EU law in a way that violates fundamental rights. So the European institutions are quite tied down by this legal framework in terms of how they can respond to human rights violations if they exist outside the area of EU law. The Council of Europe, however, can do something and it has been screaming about Hungary, but it has very few powers. It can’t cut funding, because it doesn’t give funding to Member States. If you file a human rights complaint with the human rights court, what they do is award small amounts of money to the person that brought the case. They’re starting to move towards structural reforms and trying to get the states to changes the laws that caused the problems, but they don’t have any real mechanisms to enforce their demands. So all the power is in the EU, which doesn’t have the human rights jurisdiction, very broadly, and the human rights jurisdiction is with the institutions that don’t have a lot of power. So overall, a human rights problem is always greeted with lots of rhetoric and very few effective actions. Why wasn’t action taken against Hungary when it became apparent that rights were at risk? What does this tell us about the weakness within these mechanisms? KLS: The Hungarian government has been very careful to not do things that look like mass human rights violations. Human rights are framed as personal claims against the state. When governments seize control of all the institutions of state and capture every single political institution so that no other political formation can ever influence policy, and when they fire all of the civil servants because they created a law saying they fire people for austerity reasons, it’s very hard to make a human rights claim. The EU relies on a principle of mutual trust and mutual respect which means that an EU citizen who travels to any Member State should expect to have the right guaranteed to all EU citizens. When you get a Member State that no longer guarantees those rights, this whole principle of mutual respect falls apart. The EU needs to prevent this consolidation of power that makes these human rights violations possible, because by the time you get to these mass violations it’s too late. This is more within the scope of EU law, because Article 2 of the Treaty of the European Union – created under the Lisbon Treaty – says that all Member States are committed to democracy, human rights, etc. and the question is how you enforce those principles. The main enforcement mechanism is Article 7 of the Treaty of the European Union, which is a very cumbersome process that requires unanimity of the Council. RT: Article 7 was clearly thought out in a very optimistic scenario where you have one problematic country in the EU and all the other countries do what they should in order to address this, but it never occurred to the drafters that you could have two problematic countries. If these countries use their veto respectively, in each case, you will never be able to use the ‘atomic bomb’ of Article 7. In what ways is the Polish case different to the Hungarian one? Do you think that activating the rule of law mechanism now will be an adequate response, and if not, what alternatives are available? KLS: The Polish government appears to share the same ambition of grabbing all of the institutions of power and hanging on to them, so in that sense the two cases are similar. But the Polish government does not have a constitutional majority – they can’t change the constitution with the votes of only their own party. In Hungary, the Orban government could do that. If the Hungarian government wants to pass a new constitutional amendment, you’ll wake up in the morning and this will have changed overnight. The Hungarian government has consolidated its power by law. The EU institutions don’t have this legal alternative to go in and tell them to follow their own law, because it’s their own law that is the problem. In 2012, we had the case of Romania, which looks a lot like Poland now. That was when there was a Prime Minister who decided that he wanted to get rid of the President, so the PM’s party intimidated the constitutional court and did a series of things that were illegal under Romanian law. [Then EU Commission President] Barroso was in there in a second: he called Victor Ponta, the Romanian Prime Minister, to Brussels for consultations and threatened him with sanctions. The Commission actually acted very fast and stopped the process in Romania from getting any worse. Now Ponta is under indictment by his own government and a lot of anti-corruption prosecutions are in place. The intervention of the Commission was crucial in getting the democratic process back on track. The Polish case is more similar to Romania than to Hungary, because the Polish government came in and is violating the Polish constitution and Polish law, which is why the Commission has acted so quickly. By activating the rule of law mechanism for Poland, there’s a clear way out of the crisis. Also in Poland, as in Romania, there are very active opposition parties who could take over from there if the Commission could come in and break a deadlock, which isn’t the case in Hungary. So Poland has a lot going for it – a strong constitution that cannot be easily changed, an active and competent opposition that has mobilised to protest. Not all the institutions have been captured; the government is still in mid-process of political consolidation. By acting quickly, the Commission can fix it, claim victory and get out, before they have to resort to Article 7. So I’m pretty optimistic about Poland. Regarding Hungary, I am more pessimistic about because there was a period in 2011/12 when the Commission could have intervened to stop the process of political consolidation before it was finished, but because the Commission didn’t act strongly enough then, they are now confronted with a situation where they really have to use some kind of nuclear option to get out of the present mess. If you were to have a free and fair election using free and fair rules (which, presently, they don’t have), there would be a very good chance that the party you’d get in power would be far-right and anti-European party Jobbik. So Hungary really needs a lot more remedial work to build up the kind of opposition you would want to trust a government with. RT: There’s another difference between Hungary and the other countries: Fidesz is part of the European People’s Party (EPP – the largest group in the European Parliament), and the other ruling parties are not (those of Poland and Romania are in the ECR – European Conservatives and Reformists – and Socialist groups, respectively). We can, at the very least, assume that this difference played a role – that Hungary got away with more because they are part of the EPP. This is something that is very serious for the EPP and that they must address otherwise they will undermine their own credibility in terms of their commitment to the European project. What do you see as the main repercussions of these cases for the EU as a whole? What other factors are at stake? RT: There’s another country that we can speak about: Denmark. Here the question moves from the rule of law realm to human dignity. When you go to Article 2 of the Treaty of the EU, this is the first value that the European Union has to respect. We are always responding to the current crisis and not thinking about the next one: the problem was rule of law and it is still mainly rule of law. But if you think about what Hungary did to refugees, to criminalise being one and using prisoners to build the wall; or what Denmark has done, where it is now legal for the state to seize the assets of a refugee (and stalling reunification of families for three years), these are examples of a violation of human dignity rather than rule of law. And that’s disturbing. KLS: One of the reasons these rule of law issues have been so hard to deal with is that there are so many crises at once. The reason that the Commission didn’t act with Hungary during 2011/12 was because of the euro crisis. The reason it can’t act now is because of the migration crisis. There’s also Brexit. To interfere in the constitutional matters of a Member State is controversial anyway under the Treaties, but to do it in a context where one country is about to go out of the door, especially on the ground that already the EU is too intrusive, makes this a very difficult thing to do. If we only had to deal with this so-called rule of law problem in these states, it would be a lot easier to address. How do you predict or hope the situation will evolve in terms of the EU’s development? RT: European Institutions were created for the concept of a single market and also to reduce the occurrence of fascism. These two settings were created to avoid repeating Europe’s history. There are some who argue that the EU was created in the 1980’s to be a single market and that is how it should remain. I think it is very important for European citizens to challenge this narrative. Economic joint ventures were the first step towards creating a political union, or at least a union of values for a simple reason: if you do not have a union of values, you do not have a fair, functioning single market. I would challenge the notion that the EU should stay on as simply an economic venture. It is already in the Treaties that we are in a union of democratic values, rule of law respect and human dignity respect. The articles of the treaties are not colonialistic pieces that were drafted in Brussels and then forced on other countries; Article 2, for example, was written by Member States to protect themselves before EU enlargement steps, and to those acceding so they could protect themselves from the kinds of human rights violations practised upon their minorities before accession. So it is a creation of Member States, and they have to respect that creation. KLS: Ultimately, what I love and hate about the EU is that it is so legalistic. But Europe’s aspirations and the reality seem to be diverging because of the way the institutions were structured in the beginning. People expect the EU to be a defender of human rights, but it was never given that sort of general power. The crises have put strains on exactly the points where you would want the EU to have powers, but where, for all kinds of historical reasons, it was never given those powers. And now we see that the values of Europe, the ideals it stands for, can’t be realised with the structures we have. I suspect we’re reaching a point when Europe is either going to ratchet back to being just an economic market (with the original Human Rights architecture residing in the Council of Europe), or there’ll be a great leap forward with a smaller Europe. I really don’t know which one of those it’s going to be – it’s very hard to predict – but we’re now at the stress point. And we will see if European institutions can bend to address new issues before they break.